Common canine dental problems include plaque, tartar, gingivitis and other periodontal disease. These problems not only cause pain and inflammation in the mouth, they can also have tremendous adverse effects on the dog's other major organs such as the kidneys, liver, and heart. 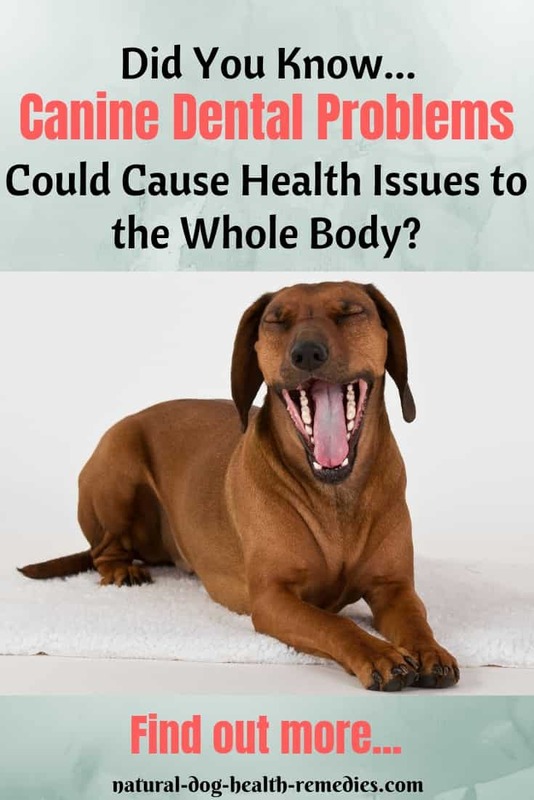 Particularly, it has been established in a study conducted at Purdue University that there is a direct link between canine gum and dental problems and heart disease. It is therefore extremely important that we give good canine dental care to our dogs and have their teeth checked by a veterinarian regularly. 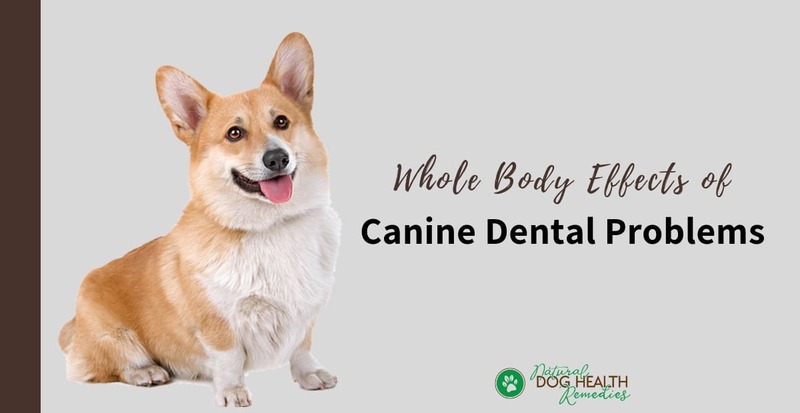 Below describes some common whole body effects of canine dental problems. A dog with periodontal disease is prone to develop bacterial infection. Bacteria from a tooth abscess, for example, can easily gain access into the blood stream. Bacteria in the blood stream can gain access to the heart, causing a serious bacterial infection to the heart valve - a condition known as Bacterial Endocarditis (an infection of the heart valves) which can be fatal. In addition, some bacteria found in a dog's mouth are "sticky" and tend to adhere to the artery walls. If regular dental care is not given to a dog, therefore, this type of bacteria can accumulate along the artery walls, making them thicker and narrower for blood to pass through. As a result, heart disease can occur. The kidneys filter out waste products and toxins from the blood to the urine. They also trap circulating bacteria. If the number of bacteria in the blood is high, bacterial infection can easily occur in the kidneys causing kidney damage. It is not uncommon that a dog with kidney problem recovers after proper dental treatment has been carried out. Bacteria from canine dental problems can also affect the liver, causing hepatitis, and the pancreas, causing pancreatitis. Every other tissue and organ that has a blood supply (e.g. the lungs, the brain, muscles, etc.) is potentially at risk from bacterial infection spread by blood. Canine dental problems can also cause inhaled infection. As a dog with periodontal disease inhales, bacteria can be carried down the airways. In a healthy dog or if the number of bacteria is small, the dog's defence mechanism may fend off any bacterial infection. However, if the immune system is compromised, or if the dog is already suffering from some form of respiratory disease such as bronchitis, or if the number of bacteria is high, then bacterial infection may take hold, wreaking havoc on the respiratory system. Finally, if a dog has periodontal disease, over time the bacteria in his saliva will produce toxins. These toxins can easily be ingested by the dog when he swallows. When the toxins reach the stomach, not all of them can be destroyed by gastric acid. As a result, stomach problems such as gastritis may occur. It is therefore a rather common phenomenon for dogs with periodontal disease to have upset tummy. As you can see, serious dog teeth problems can have adverse health effects on the whole dog. As most dental problems are preventable through good dental care, be sure to take good care of your dog's teeth! Next: Learn how to clean your dog's teeth.